Imagine life without limitations in South Haven. The spirit of community is making it possible. Won’t you help create a healthier, more caring community by making a gift? 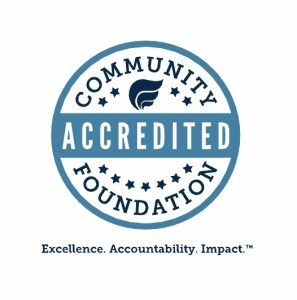 Your contribution to the Greater South Haven Area Community Foundation Endowment Fund or to the Greater South Haven Area Community Foundation Youth Endowment Fund will become a permanent investment in our community. An unrestricted fund that allow grants to flow to a broad spectrum of community service encompassing cultural needs, youth programs and economic development in the greater South Haven area. The SHCF ‘immediate needs fund’ provides quick access to funding for foundation projects and administration. A designated fund whose purpose is to provide for the long term funding of the We Care Agency. A designated fund to help provide funding for the museum’s programs and activities. A Field of Interest fund, developed to insure the long term care of the Communities Skate board park that provides activities for our communities’ youth. They also have a matching building fund to assist in the continuing development of infrastructure in the park. A Field of Interest fund designed for the care and maintenance of this beautiful 24 acre lakeside park of 18th Ave and 77th Street. There is also a building fund to assist in the further development of the park which was a turn of the century United Church of Christ and camp fire girls’ camp. Provides annual scholarships to those graduating South Haven High School students who have shown excellence in academics and in some way have helped make South Haven a better place to live, play and work. Developed by Stanley Johnson’s children and grandchildren as well as his many friends. This fund was instrumental in providing a gazebo, and sitting area overlooking the Black River and grants are used for continued improvements and its care. A donor advised fund for the eventual care of South Haven Area Recreation Park. In 2014 our foundation started an Endowment Fund with the South Haven Community Foundation. If you make a donation to the endowment your gift will be added to others in the fund to grow and make a long lasting, bigger impact. Once a year the growth will be distributed as grants to our schools. 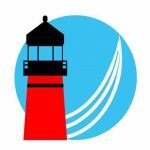 A Field of Interest Fund in honor of Amy Eubanks, who dearly loved the city of South Haven, Lake Michigan and the piers that enable so many of our community and visitors to enjoy the lake and its lighthouse. Grants from the endowment will continue to make improvements to the north and south piers from year to year. The “action fund” provides immediate assistance to help provide food. Blessings strives to ensure children don’t go hungry on the weekends by empowering individuals and communities to take action. Started in August of 2012 as the South Haven Chapter of Blessings in a Backpack’ national program. Blessings in a Backpack mobilizes communities, individuals and resources to provide food on the weekends for local elementary school children who might otherwise go hungry. A Field of Interest fund, controlled by the communities Youth Advisory Board (a mini foundation by itself) made up of South Haven High School students that follow the same guidelines of their parent foundation. Endowments provide annual grants to our partners and to those needs that help make South Haven a Better place to live, work, and play.